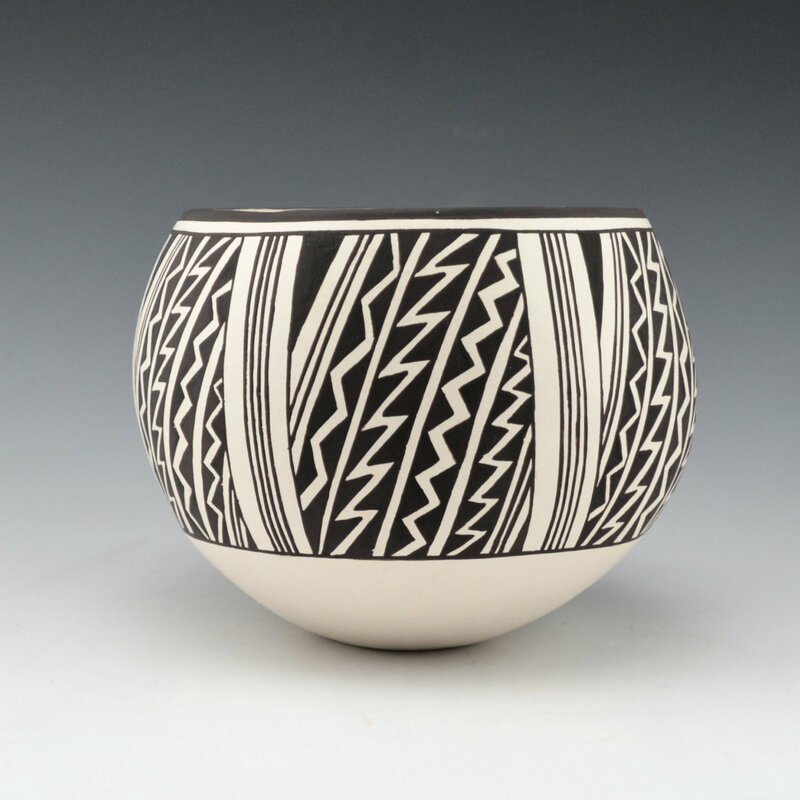 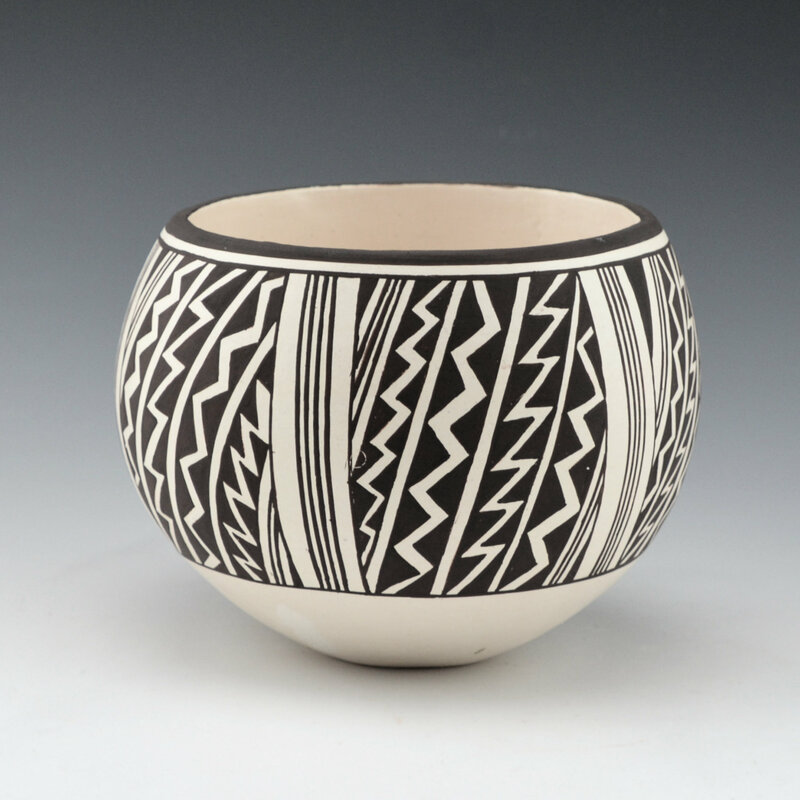 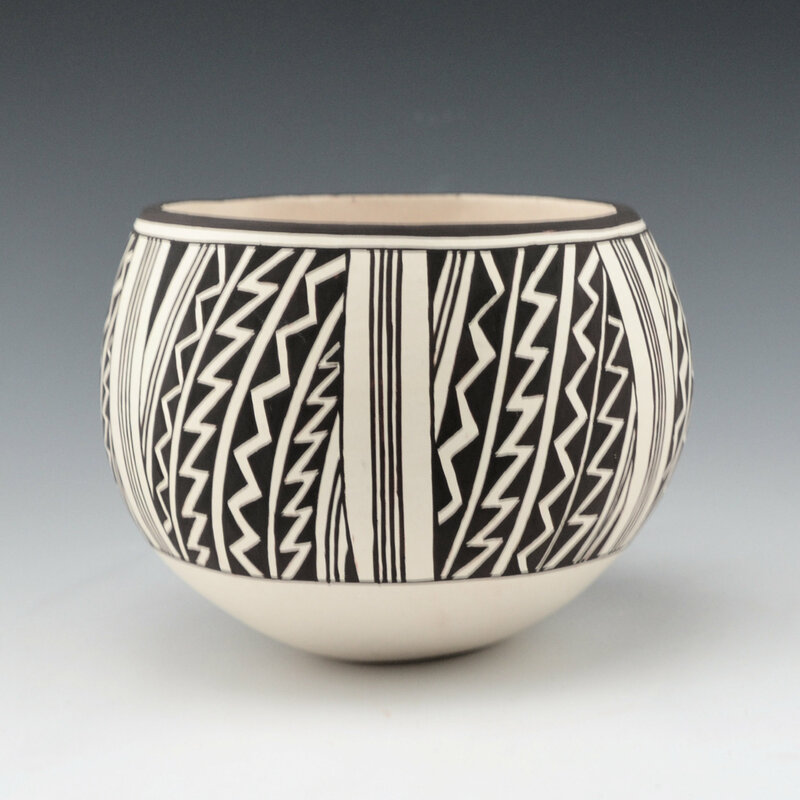 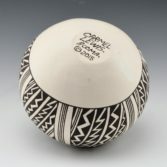 This bowl by Carmel Lewis is certainly inspired by the work of her mother, Lucy Lewis. 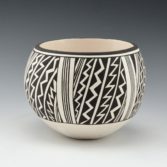 The bowl has a classic lightning pattern and it is separated by a linear rain design. 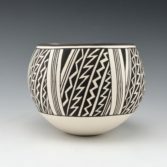 The black is painted with bee-weed (a plant). 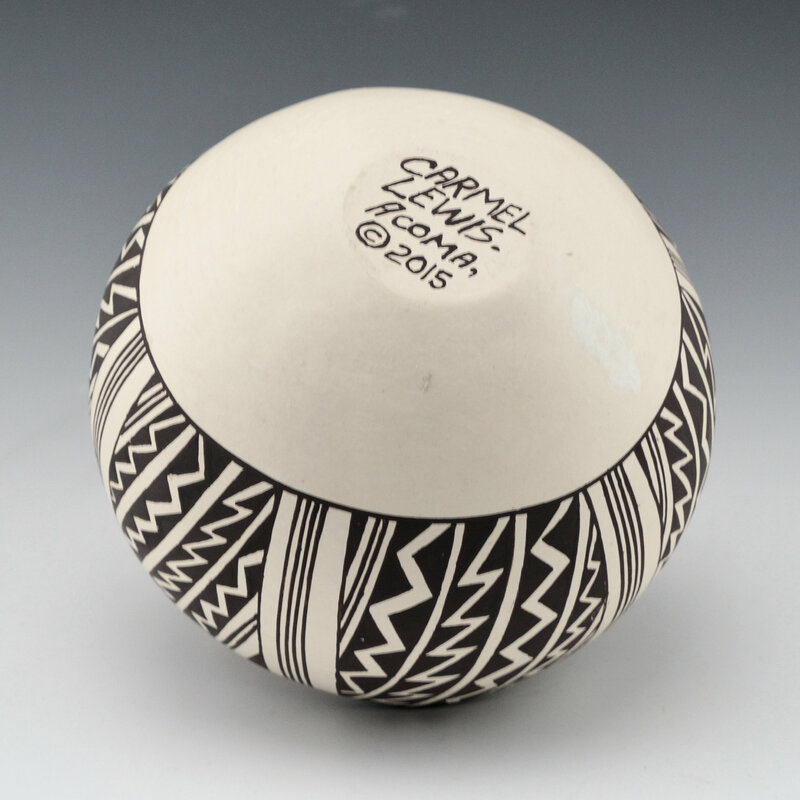 The bowl is signed on the bottom, “Carmel Lewis”. 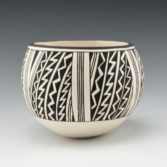 The bowl is in excellent condition with no chips, cracks, restoration or repair.